Quinta de la Rosa has beautiful terraced A–graded vineyards just behind Pinhão in the heart of the Cima Corgo. 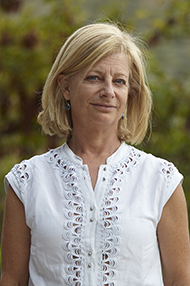 Over the last few years the wining team of owner Sophia Bergqvist and winemaker Jorge Moreira have maintained the Quinta’s reputation for elegance of style, whilst adding another dimension of gravitas, nowhere better illustrated than by the 2011 vintage. Indeed Sophia is convinced that it will be their best ever and the evidence from the glass is persuasive. The blend is dominated by equal shares of Touriga Nacional and Touriga Franca with a little Souzão (as they spell it here it seems) added for good measure. Crushed blueberry, dark cherry, cloves and spice all presage a wine of extraordinary quality and unprecedented capacity to age. The Wine Advocate - The Quinta de la Rosa 2011 has a relatively lighter, nevertheless well-defined, light-hearted bouquet that disguises its spirit well. The palate has a soft, rounded, viscous entry with kirsch, fresh prune and cassis all vying for attention. It lacquers the mouth but does not overpower, and its parting gift is a long sweet molasses-tinged finish. This is one of the more accessible declarations and a joy. Tasted May 2013. The Quinta and its vineyards were given to Tim's mother as a Christening present by her parents, the Feurheerds, who established the property in 1906. It remains one of the few Single Quintas where the vineyards start at the bank of the Douro and rise 450 meters to the towering top of the mountain. From the river's edge to the top, one passes through 11 different microclimates. 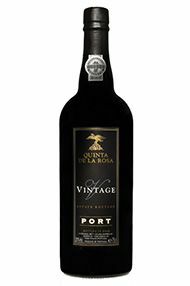 This gives La Rosa great flexibility to add variety and complexity to its Port. La Rosa and Tim Berqgvist are special. In many ways they represent what the Douro is all about... pride, courage, tradition, and the determination to produce the finest product from in one of natures' most difficult climactic conditions.